An organisation that wants to use the system? Get in touch! First Aid Trained? 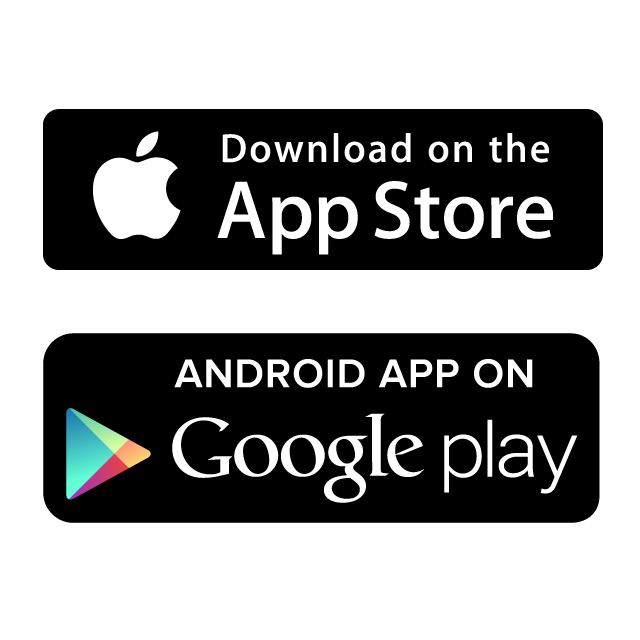 Download the Responder App to be a GoodSAM responder today. 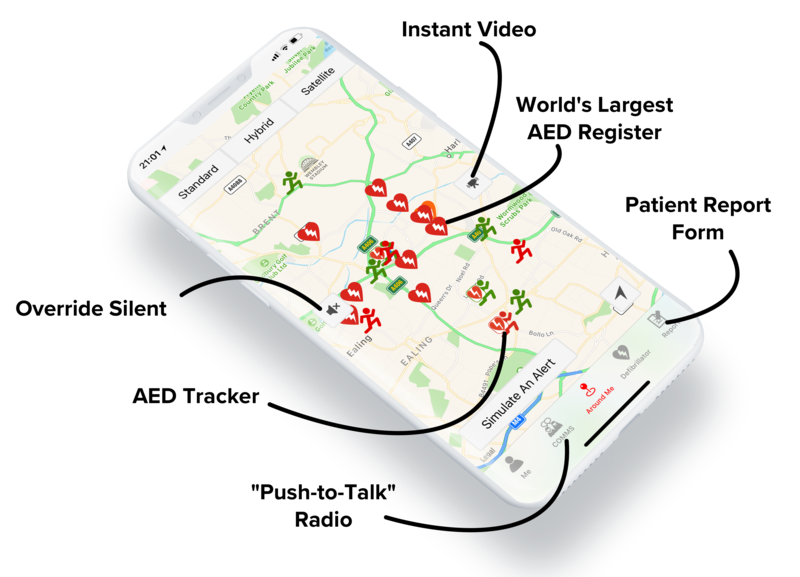 The extensive GoodSAM network of responders, together with our GPS positioning and video systems enables us to provide a highly governed AED Drone Delivery System. 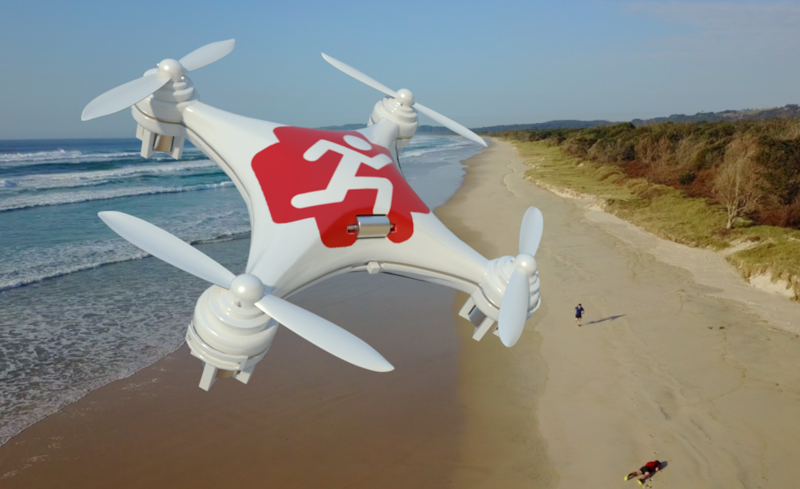 We can partner with your Service to provide the tech solutions which can make this a reality for you. 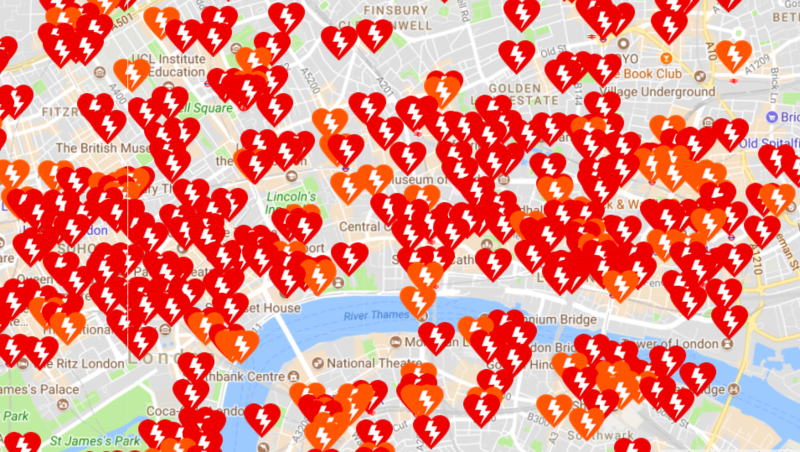 GoodSAM volunteers have mapped thousands of Automated External Defibrillators (AEDs). 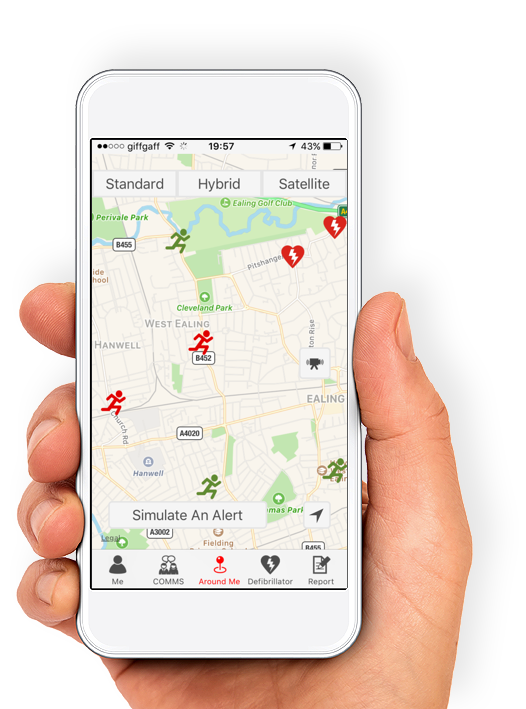 Additionally, our collaborative work with multiple ambulance organisations, has resulted in over 30,000 AEDs live on the platform. We sync our data every 72 hours with Ambulance Services so that it is always up-to-date. GoodSAM has pioneered the ability to have patient consultations and consultations with colleagues without the need for App downloads. This can be used to debrief incidents with other emergency services - something that logistically is often difficult to otherwise achieve. Just set up a room and send out invites via email or SMS. With a single click, they can enter the room! All video has end-to-end encryption. The encrypted video can be streamed without storage or securely stored for as long as you wish. The difference early CPR and defibrillation makes can be crucial - that's where you come in. 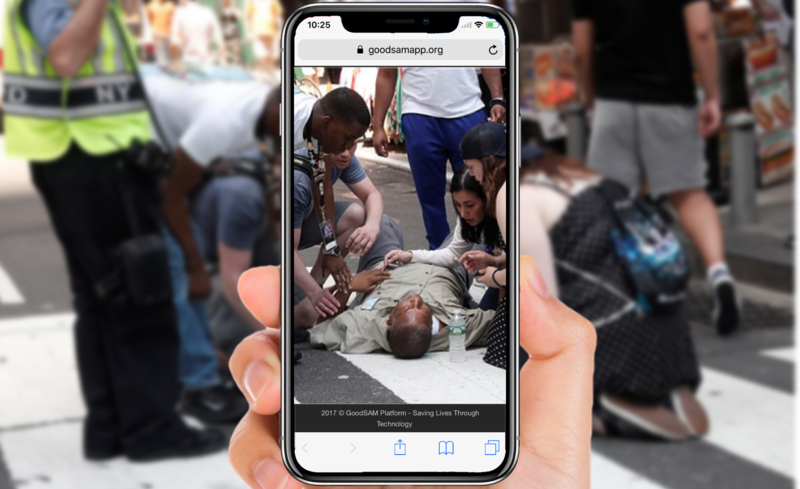 If you are trained in first aid, download the GoodSAM Responder App today. 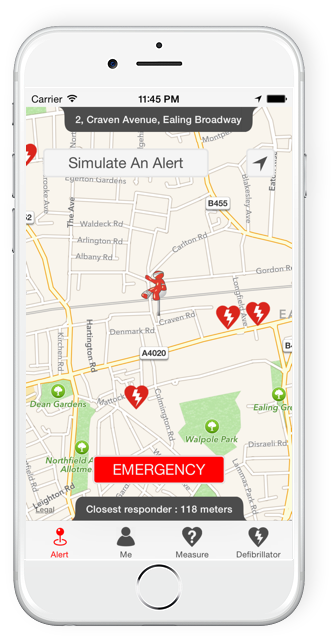 You'll then be alerted when you are in the immediate vicinity of a cardiac arrest, so that you can start CPR or basic first aid in the critical minutes before the emergency services arrive. 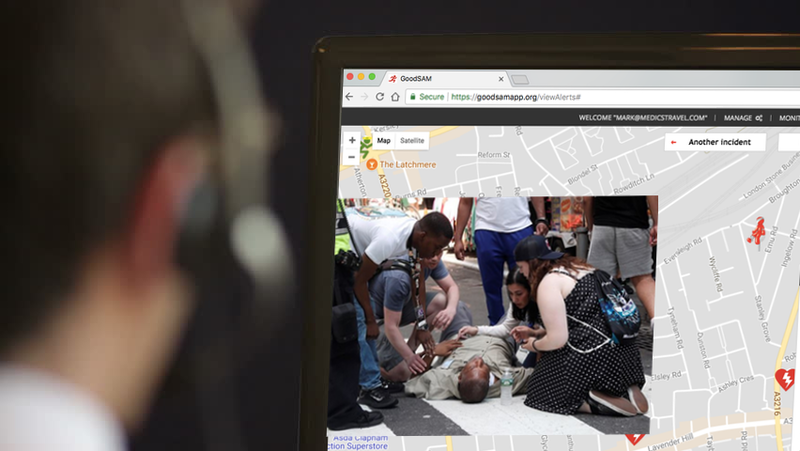 The GoodSAM platform is highly governed and secure, with checks to ensure that all Responders are medically qualified. Once verified, you'll join our network of community lifesavers.